Announcing VNet service endpoints general availability for MySQL and PostgreSQL - Virtual network service endpoints for Azure Database for MySQL and PostgreSQL in all regions where the service is available for General Purpose and Memory Optimized servers. You can use virtual network service endpoints to isolate connectivity to your logical server from only a subnet or a set of subnets within your virtual network. The traffic to Azure Database for MySQL from your virtual network always stays within the Azure backbone network. Preference for this direct route is over any specific routes that take internet traffic through virtual appliances or on-premises. New customizations in Azure Migrate to support your cloud migration - Azure Migrate is a generally available service, offered at no additional charge, that helps you plan your migration to Azure. Azure Migrate discovers servers in your on-premises environment and assesses each discovered server’s readiness to run as an IaaS VM in Azure. Several new features in Azure Migrate enable you to customize the assessments to meet your migration needs, including support for Reserved Instances (RI) and specifying VM series and storage types. Azure HDInsight Apache Phoenix now supports Zeppelin - Apache Phoenix is an open source, massively parallel relational database layer built on HBase, and HDInsight is the best place for you to run Apache Phoenix and other Open Source Big Data Applications. Apache Zeppelin is open source Web-based notebook that enables data-driven, interactive data analytics and collaborative documents with SQL, Scala and many other languages, which HDInsight customers can now use to query Phoenix tables. Azure App Service on Azure Stack Update 3 Released - Microsoft Azure Stack is an extension of Azure—bringing the agility and innovation of cloud computing to your on-premises environment and enabling the only hybrid cloud that allows you to build and deploy hybrid applications anywhere. The latest update to App Service on Azure Stack adds support for SQL Server Always On for Azure App Service Resource Provider databases, and updates to Functions portals, Kudu tools, ASP.Net Core, and more. Azure API Management – VSTS extension v2.0 release - This free extension brings Azure API Management into VSTS as part of your release lifecycle by automating deployments to Azure API Management. Whether you use API Management to monetize APIS or for internal purposes, it is good to associate the release of your backends APIs with their corresponding façade APIs published against the API Gateway. This update includes support of versioned APIs, API prefix, Versioning Schemes, and more. The Azure Podcast | Episode 242 - Azure FastTrack - Principal PM Alex Uy gives us the inside scoop into the Azure FastTrack program that helps companies move their workloads to Azure with support from the Engineering teams. How to enhance HDInsight security with service endpoints - With the enhanced level of security at the networking layer provided by service endpoints, customers can now lock down their big data storage accounts to their specified Virtual Networks (VNETs) and still use HDInsight clusters seamlessly to access and process that data. This post explores how to enable service endpoints and point out important HDInsight configurations for Azure Blob Storage, Azure SQL DB, and Azure Cosmos DB. Azure Cosmos DB reference solution: Visualizing real-time data analysis with change feed - The Azure Cosmos DB Change Feed provides an automatic mechanism for getting a continuous and incremental feed of modified or inserted records from Azure Cosmos DB. This reference solution focuses on real-time data processing, specifically to fit the needs of e-commerce companies; however, it remains applicable to many different domains. Azure Content Spotlight – Secure DevOps Kit for Azure (AzSK) - The Secure DevOps Kit for Azure (AzSK) offers a set of scripts, tools, extensions, automations, and more for DevOps teams that are using automation and are integrating security into native DevOps workflows. Azure Friday | Getting started with the Secure DevOps Kit for Azure (AzSK) - Mark Jacobs joins Scott Hanselman to discuss how Microsoft's internal enterprise increases compliance and creates a more trusted cloud environment using the Secure DevOps Kit for Azure (AzSK). Learn how Microsoft's DevOps teams leverage this tool to continuously keep their cloud applications secure and how you can use the same tool to reduce risk in your environment. Service Fabric and Kubernetes comparison, part 1 – Distributed Systems Architecture - In this first part of a multi-part series, Marcin Kosieradzki provides an in-depth comparison of Service Fabric and Kubernetes, including a look at the design principles that each followed. This article includes a lot of Service Fabric history, too. 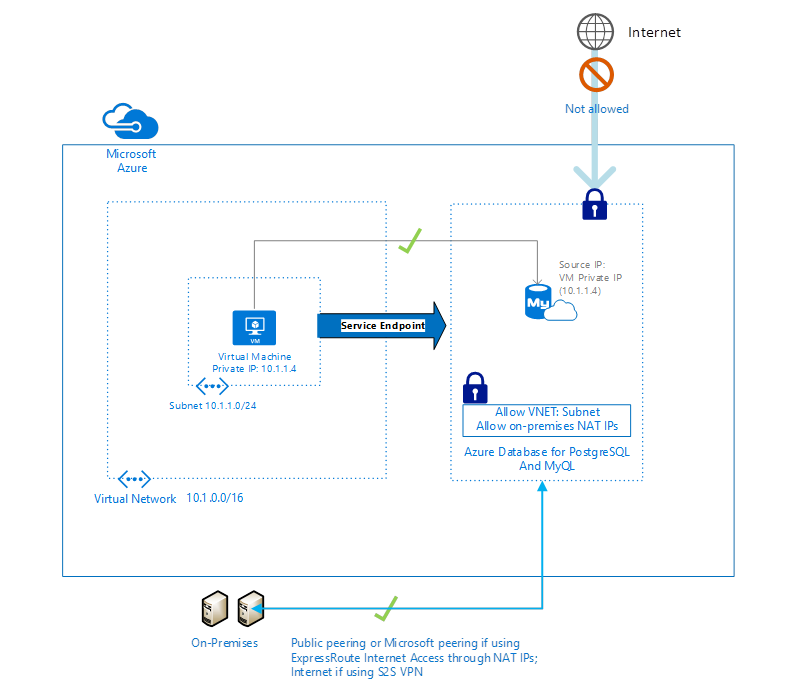 Installing certificates into IoT devices - With lots of people moving to X.509 certificate-based authentication as they start to use the Azure IoT Hub Device Provisioning Service, this post seeks to provide clarity around the cert generation and installation process for IoT devices at production-level scales. Azure HDInsight Interactive Query: simplifying big data analytics architecture - Without right architecture and tools, many big data and analytics projects fail to catch on with common BI users and enterprise security architects. This post covers architectural approaches that will help you architect big data solution for fast interactive queries, simplified security model and improved user adoption with BI users. Serverless, DevOps, and CI/CD: Part 3 - In this third installment of a multi-part series (Serverless, DevOps, and CI/CD: Part 1 and Serverless, DevOps, and CI/CD: Part 2), Jeff Hollan covers one method for managing serverless architecture environments and versions automatically and seamlessly. Azure SQL With PCF Spring Boot Applications (Part 1 — GeoReplication) - This is part 1 of a 2-part series demonstrating how to leverage advanced Azure SQL (PaaS) features from Java Spring Boot applications running on PCF (Pivotal CloudFoundry) on Azure. The first article shows how to use a Spring Boot application with Azure SQL Database auto-failover groups to provide resilience to regional outages, and a future article will cover how to use the Azure SQL AlwaysEncrypted feature in Spring Boot applications to provide encryption for PI data in the cloud. Make R speak with the Bing Speech API - Ever wanted to make R talk to you? Now you can, with the mscstts package by John Muschelli. It provides an interface to the Microsoft Cognitive Services Text-to-Speech API (hence the name) in Azure, and you can use it to convert any short piece of text to a playable audio file, rendering it as speech using a number of different voices. Learn how to quickly connect to Windows Virtual Machines (VMs) with Remote Desktop Protocol (RDP). Watch how easy and fast it is to connect to your virtual machines in Azure. Learn how to quickly connect to a Linux Virtual Machine (VM) with secure shell (SSH). If you have Linux VMs that are running inside of Microsoft Azure, you can easily establish an SSH connection. Webinar: Accelerating Artificial Intelligence (AI) in Healthcare Using Microsoft Azure Blueprints -- Part 1: Getting Started - Artificial Intelligence holds major potential for healthcare, from predicting patient length of stay to diagnostic imaging, anti-fraud, and many more use cases. To be successful in using AI, healthcare needs solutions, not projects. Learn how you can close the gap to your AI in healthcare solution by accelerating your initiative using Microsoft Azure blueprints. Blueprints include resources such as example code, test data, security, and compliance support. This session is intended for healthcare provider, payer, pharmaceuticals, and life sciences organizations. Key roles include senior technical decision makers, IT Managers Cloud Architects, and developers. IoT in Action: Building secure, sophisticated solutions - IoT in Action is an in-person event focused on addressing the latest topics around IoT security, innovations, and solutions. It’s a great opportunity to meet and collaborate with Microsoft’s customer and partner ecosystem. At this year’s event, we’re providing an increased number of hands-on technical sessions and in-depth learning around IoT security and Azure Sphere. By attending, you’ll gain actionable insights, deepen partnerships, and unlock the transformative potential of intelligent edge and intelligent cloud. Events will be held in Barcelona, Santa Clara, Taipei, and Shenzhen, with more locations to be announced. Internet of Things Show | Chirp your device into Azure IoT Central - Here is a smart way to use sound to provision IoT devices with wireless configuration, Cloud connection credentials and more. Chirp created enterprise-ready, cross platform SDKs for transmitting data over sound and the Azure IoT team collaborated with Chirp to implement a nice and easy way to setup an MXChip devkit and connect it to Azure IoT Central using just sound. Azure Site Recovery powers Veritas Backup Exec Instant Cloud Recovery for DR - Microsoft Azure Site Recovery (ASR) offers Disaster Recovery as a Service (DRaaS) for applications running in Azure and on-premises. Using ASR, you can reduce application downtime during IT interruptions, without compromising compliance. ASR provides comprehensive coverage for on-premises applications across Linux, Windows, VMware and Hyper-V virtual machines, and physical servers. Azure Site Recovery now powers Veritas Backup Exec Instant Cloud Recovery (ICR) with Backup Exec 20.2 release. Azure Marketplace new offers: July 1–15 - The Azure Marketplace is the premier destination for all your software needs – certified and optimized to run on Azure. Find, try, purchase, and provision applications & services from hundreds of leading software providers. In the first half of July we published 97 new offers, including new virtual machine images (e.g., Bloombase StoreSafe), web applications (e.g., Kaspersky Hybrid Cloud Security (BYOL)) and consulting services (e.g., Carbonite Endpoint Protection - Azure 500 Bundle).